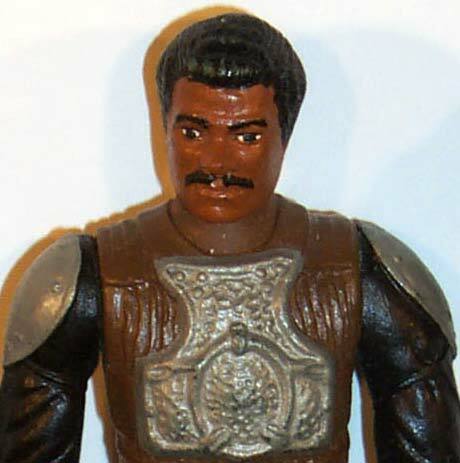 This piece is a painted hardcopy of the Lando in Skiff Guard Disguise figure. 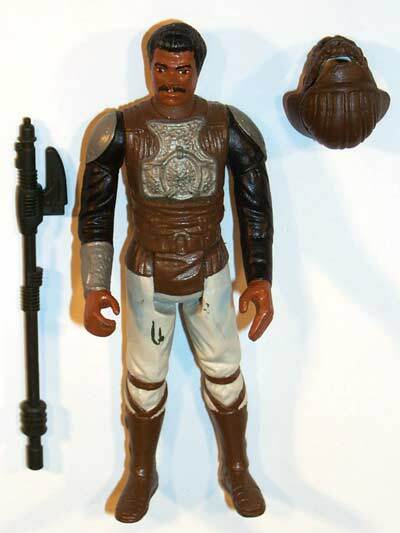 It's especially nice that it's remained complete with its weapon and helmet. These accessories are also prototypes. The staff, in particular, is nice as it's painted a darker shade of gray than was found on the final production toy. It should also be noted that, in the full-length view of the piece, you can see some scratches in the paint on the left leg, which reveal the green color of the underlying Dynacast material.